This post is to update you on my writing schedule. I know you are waiting on a release date for Give Me Hell. In the past I made the mistake of announcing a release date for The End Game and subsequently had to change it! I don’t want to make the mistake of doing that again! This book is in its final stages and a release date is imminent. When I’m 100% sure of it’s release I’ll announce the date on all social media. If I get all my ducks in a row (editing, proofreading, formatting etc) it should be ready for Christmas. There have been a lot of you questioning me over Merrick’s release and unfortunately I haven’t been able to answer you all individually so hopefully you get this update! Merrick is happening! This book is my next release after Give Me Hell. For those who have been waiting two long years for this, my apologies, but this story couldn’t be written until now. 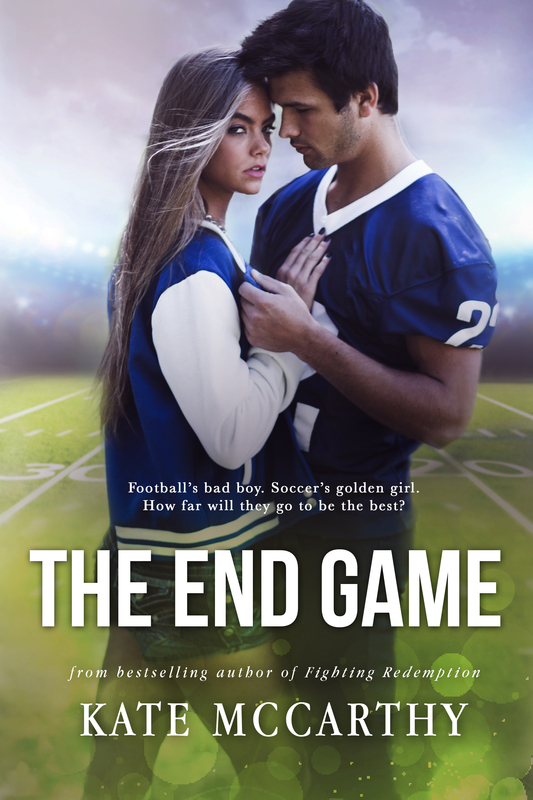 I had The End Game to write and release (and I’m so glad I did because that book was loved so much it made me a USA Today Bestseller, which has been the absolute highlight of my career! Thank you all so much! ), and then Give Me Hell to finish up (or risk being lynched lol). BUT THIS! MERRICK! Never have I been more excited about a story than I am about this one. So much that I literally cannot sleep. The book is outlined and ready to go now that Give Me Hell is in its final stages. Be ready is all I can say. Nothing in this story is what it seems, and Merrick is going to break you. The End Game was such a good book. So realistic, unlike so many other romance type books….I’ll keep waiting for Give Me Hell. Then it looks like I’ll have a fun Christmas re-reading Give Me Love – Strength and HELL !!! Hope next year is a better one for you Kate. I never knew scrolling through iBooks top lists would have led to me discovering you and your awesome writing. I’m beyond addicted and can not wait for the next release (I don’t even care what book comes first as long as they keep coming!!) . Fingers are crossed for a new book to read over Xmas break! I re-read all the Give Me books a few weeks back in anticipation of Give Me Hell. Can’t wait “squeal”. It’s after Christmas…is Give Me Hell coming soon?! I can’t wait! I’m rereading the series in anticipation that it will be out any day now! I keep checking back everyday waiting for an update! Ahhh I’m sorry! I’m just about finished. I promise. Christmas and New Year is such a busy family time!! School holidays really slowed me down!